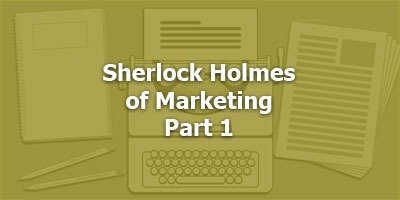 Meron Bareket, who’s known as the “Sherlock Holmes” of funnels and conversions. He has the unique background and ability to find the “murderous leaks” in your online sales process — and fix them. When he combines that with his copywriting, you get outsized conversions and record profits. I know this because Meron is a mentoring client of mine. I’ve seen the kind of detective work he does and the massive sales results he’s gotten for clients. Meron can do what he does because he’s a dedicated student of buyer behavior during every step of the sales process. He uses software skills to track how buyers respond to each part of a sales funnel, and he makes adjustments accordingly. But today he’s going to talk about the horrible crimes against marketing he sees people committing all the time. Often not knowingly or intentionally, but the results are the same. No matter how you kill the sale, you miss out on a lot of money you would have otherwise made. In this episode, Meron talks about the seven serial killers that take the life out of your marketing. Some copywriters and business owners know about some of these. Some don’t know about any of them at all. And I’ve never met anyone before who has such a thorough operational knowledge of all of them. Honestly, in my 30 years of marketing consulting, coaching, and copywriting, I was shocked by some of these that I’d never heard of before. He covers four key questions to replace yawns with eagerness and willingness to buy, in your prospects. And the two things you must have to avoid getting “slapped a lot” yourself!